These will work on any official firmware. List of Not working Homebrew. 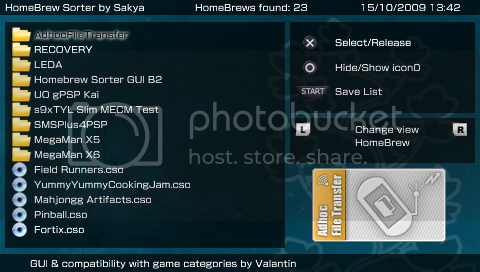 Homebrew Dev Valentin has release his mod of the handy organization app, It has a new GUI, way better looking than the original Homebrew Sorter. One major feature of this app, is that it recognizes CAT_ folders if you have Game Categories installed! PSP Claw Explorer is a multi function explorer for your PSP, it has been programmed with LuaDEV. The homebrew is multilanguage: Spanish, English, French, Italian, and Deutsch. Explore your whole Memory Stick on your PSP, run and read different file types. Extract *.zip and *.rar files. Read *.lua *.txt *.ini and *.log files. Activate the usb while exploring and doing different actions. Play *.mp3 files with a nice MP3 Player that is included in the Homebrew. Open *.png *.jpg files, but not bigger than 512 x 512. See the information of any file. Controls while browsing in the explorer. 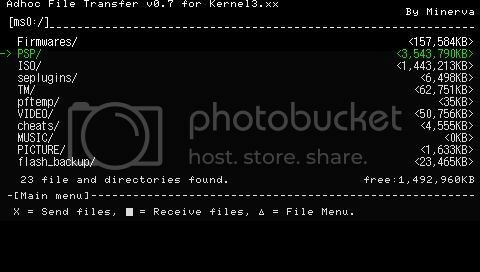 X-Enter a Folder/Open a File. Controls while on the Text viewer. Pad down + R-Scroll down faster. Pad up + R-Scroll up faster. Controls while on the MP3 Player. Select-Go back to the browser/or go back to the MP3 Player (While playing the *.mp3). Circle-Go back (it will stop the music). Controls while on the Image Viewer. PSP Game developer Exter has released a quick bug fix for PSP Rubik’s Cube. It’s the brain teaser game based off the real thing, but on your PSP. And this isn’t just your basic Rubik’s cube either, with a variety of game play modes and various difficulties. Up to 5 x 5 x 4 colored cubes to keep you busy. JellyCar is a driving/platforming game,The game is about driving a squishy car through squishy worlds, trying to reach the exit. JellyCar features soft body physics for all of the objects in the world. Also your car can transform for a limited time to aid progression through the level. Call of Duty’s popular “Nazi Zombie Mode” is currently being remade for PSP. It is using “Kurok” (Another popular home brew PSP game) as a base for their project. Mobile Assault is a destructive 3D helicopter shooter where you fight opposing forces for superiority. Rain powerful ordnance on the enemy as you strive to complete missions involving tank busting, close air support and aerial defense. • Fixed a bug where SAM sites wouldn't shoot at the player. • Fixed 'Instant Action' so that it didn't play a test/debug mission (iOS). • Fixed bug where custom mission were not working (PSP). • Fixed poor target selection by tank units. • Fixed bug where guard towers and pillboxes didn't shoot. Team cheytac released a new homebrew game Doodle Jump. 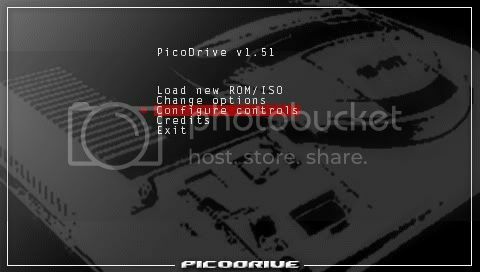 4.Go to PSP/GAME/ and move the extracted file there. Homebrew coders Qarl & Soulless' has recently released a new version of QMixer, a homebrew app that gives you the basic functions of a turntable, with features almost similar to Virtual DJ. The latest update of the excellent music app has added some new features, new languages, more fixes and various other improvements. PSP-Maps is a tool that allows you to browse Google Maps, Virtual Earth and Yahoo Maps with your PSP and its WiFi connection. You can move around the map, zoom in and out, cycle through the different available views, search for an address, load/save favorites, etc. It includes a cache system so you can browse later the maps you have previously seen, even if you don't have WiFi available. There is also a PC version if you don't have WiFi at all, so you can build a cache on your computer and copy it to your PSP. The Underminer has released Crazy Gravity Portable v1.1. In this update he has added 7 new levels, increased the loading speed (doubled!) and fix a few bugs that were present. The game is based on Crazy Gravity for the PC by Axel Meierhöfer. This version of DosBox is specifically designed for running windows 3.1, 95 and 98 on your PSP. • Put the DOSbox folder under GAME folder on your PSP. • Put the IMG files into the program folder DOSbox on your MS.
• To run Windows press Start. • Hold Left directional key down and press X. This puts the keyboard into numbers mode. • Then press Square then press square again to select 1. This shows Boot Menu. • Press Start again and the OS should start booting. PSP homebrew dev Xfacter has released an update for Battlegrounds3, an impressive-looking hovertank deathmatch game for the PSP. This latest version finally adds configurable controls and lets players save their play statistics. 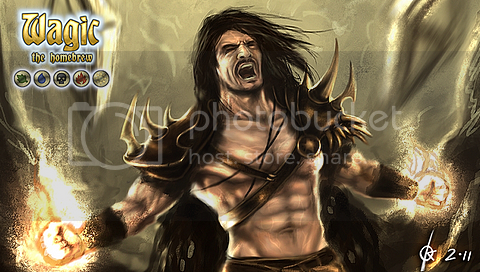 Wagic is an heroic-fantasy game in which you battle as a sorcerer against your PSP. It is based on the rules of a very famous collectible card game. In Wagic, you create a deck of creatures and spell cards, then play with this deck against the AI’s decks. As you win battles, you earn credits that you can spend in the Shop to buy more cards and improve your deck. for the top prize of the Sushi Cup. run from 1.5 or from CFW's minimal 1.5, but will not work. the corresponding game4xx type folder. d-pad to walk around the island, X to choose a battle, O to save progress. d-pad plus X to select attacks. Homebrew dev SG57 has released Light Cycle 3D, a PSP clone of a Tron light cycle game. The objective is to make your opponents crash into the solid trails your light cycle leaves behind. Light Cycle 3D lets you choose from a variety of different skins and change the speed settings and enemy numbers to make the game more or less difficult. You can even customize the color of your light cycle's hull, window, rims, top, and chassis. Just like its name indicates, this program will allow users to transfer files from their handheld units to another PSP using the WiFi connection. Multitasking is a complete multitasking windowing environment for PSP. Like a computer, works with a fully functional window system (to minimize, and even resize and maximize the windows). It uses a highly optimized system for the PSP, making it capable of operating with a large number of open windows. To stream music, read text files, view images, and download homebrew with downPSP - mini, all at the same time in different windows. If you own a PSP slim, the program automatically will use the extra memory. Analog stick: Move the cursor or mouse. X: Select Item / OK / Pause or Play song in the music player. Or: Back / Up one folder / Cancel. Digital Pad Up / Down: Scroll through a list or text box, zoom in image viewer. Digital Pad Right / Left: forward or rewind faster / Rotate image on the display of images. R Trigger + X: Drag windows from anywhere (not just from the bar). Square: In the text file reader, change alignment (left, center, right). Select: Holding, made a screen with an animated effect. It then shows the capture made in the image viewer. danzel's port of Enhanced CTorrent for the PSP—a functional p2p torrent client. Zack's Wolfenstein 3D for the PSP. Floppy disk patch, user guide, FAQ, and other documentation included. Requires select files from the original CD or floppy disks. Counter-Strike game for the PSP. A gore FPS based on the Duke Nukem 3D port for the PSP. If you like 3D and zombies, you’ll like this game. Danzel's Defense Station Portable. DSP is a Tower Defense game — setup your towers and defend against the approaching enemy waves. Mr. Dynamic's Bob in: "The Ice Age." A fun Mario-like side scroller with 20+ levels. ZX-81's release of PSP-PDA with support for IR keyboards. Rob_psp's original app includes everything you need — a notepad, music player, image viewer, address book, calendar, calculator, and clock. jojojoris' Game of Life for the PSP. This game is based on John Conway's "cellular automaton" Game of Life. A PSP port of FCEUltra — the Nintendo (NES) emulator. Atari 7800 Emulator for PSP. Atari 800/130/5200 Emulator for GP2X. Today I have the honor to present to you the LORD RUNNER game created by developer Sam, in which the goal is to get as much gold as possible and not let you touch the guards which protect the gold, if you get to play and you start to lose again. The game contains the option to load game, it also contains a level editor and creator of levels. The main objective is to get all the gold he asks for the level when you are playing you can set traps for the guards to fall by opening holes in the ground and you have to be careful not to fall like you did not touch the guards that guard the gold . The game contains 19 levels, the author promises more for the future, but meanwhile you can create your own levels and start playing them, the game will be saved only when passing the levels progress so do not worry about losing. You must also have well seen that the guards can keep the gold and you have cause to fall in a hole to release the gold. D-Pad, Up: Go up the stairs. D-Pad, Down: Go down stairs. Digital Pad, Right: Walk to the right. Digital Pad, Left: Walk left. L Trigger: Open holes in the ground to the left. R Trigger: Open holes in the ground to the right. A Magic Screen for PSP, by developer ZX-81. This is a PSP adaptation of "Rise Of The Triad". The classic first-person shooter originally developed by 3D Realms/Apogee. Ported by Deniska and later updated by Chilly Willy. ZX-81's ported version of Caprice32 which emulates the CPC464, CPC664, and CPC6128 Amstrad home computer models. ZX-81's port of Hu-Go for the PSP. Emulate the Turbo Grafx 16 / NEC PC Engine console. ZX-81's version of PSPColem — the ColecoVision emulator. Ported from Marat Fayzullin's ColEm. Resonate is a fast paced undersea rail shooter. Your goal is to evolve into a thresher shark and become king of the ocean. On normal difficulty the player starts as a Sea Urchin (level 2). Hit the blue striped targets to collect evolution up. Collect eight and move up a level to Sea Horse (level 3). Miss a target that collides with you and move down to Zooplankton (level 1). If you're hit too many times, the adventure ends and you need to try again. ZX-81's Mancala board game for the PSP. PSPMancala is the "Awari" variant, and even though the rule of this game is simple, the complexity can be compared to a game of Chess. Details inside "README.txt." As of v1.02 you can now play two variants of Mancala -- both common Mancala and Awari. The AI level has also been increased. v0.4.3 Written by David Rudie this package includes all the necessary tools to have your PSP act as a wireless controller/joystick for Windows! Read the readme.txt for installation instructions. BOXHEAD: PSP STYLE is a clone of Sean Cooper's (http://www.games.seantcooper.com - develop@seantcooper.com) flash game series Boxhead: The Zombie Wars, a Top-Down Shoot-em-up game. ZOMBIE: If you get cornered with low firepower can be a big problem. Will attempt to completely encircle and then eat you. DEVIL: Have a powerful fireball attack that can quickly end your life. Takes some Heavy FirePower to kill these suckers. As you gain Kills, A number in the Top right of the screen will Rise. This is your Combo Counter, and it will go down unless you keep killing more zombies faster. As the Combo counter reaches higher Numbers, you will Unlock weapons, and upgrades for those weapons. - Play your own MP3s and Atrac Files right from your /MUSIC/ or /PSP/MUSIC/ folders - sub folder support! - Built-In Game Guide with controls, etc. PSPlorer is file explorer with some additional functions. - multi-languages, you can add your own language. To do this just create a text file with the translations (corresponding line by line with english.txt), modify the config file (psplorer.txt) put the name of your file at the tag [langiageFileName] (don't forget the space between the tag and the file name). - dump and securised flash of the NAND. WARNING, even if the flash has been tested on several PSP, the flash of the nandBackup is still a risky thing. I won't accept any responsabilities in case you brick your PSP. - file extraction from eboots. As far as old school Atari 2600 clones are concerned, developer Leo28C (Leo Cabrera) did a pretty good job of creating a PlayStation Portable homebrew version of the classic Canyon Bomber title. Canyon Bomber Portable version 1.0 delivers the same kind of addictive gameplay as you fly your plane across the screen while carpet bombing all of the colored blocks littering the canyon below. Unlike the original version, this handheld clone of the game places you in a timed challenge to destroy as many blocks before the timer runs out. You are awarded 100 time ticks, a bomb, and a speed increase for every 500 points you get. Also, be careful not to waste your bombs on the green canyon terrain. CubeMania is a PSP homebrew application featuring 3 small puzzle games, called FillUp, Matrix and Slide. They're all quite similar to each other as they have the same design and idea: a game board that's made out of cubes, basically just squares, but with a better name. PSPBEEB emulates the BBC Micro home computer system. It has been ported to the PSP from the famous emulator, BeebEm. Ported by ZX-81. The Coder xerpi presents a new creation, PSP XManager, a file browser, which has several functions, such as a media player, image viewer, ability to move, delete, copy, rename files of our Memory Stick, and to extract data archives (zip), all in one application. The Gameboy Advance emulator for PSP based on gPSP and gPSP kai source code has been updated by the anonymous Japanese coder. client on your PC such as Filezilla (http://filezilla.sourceforge.net/). This is also signed to work in OFW. Syobon action (also known as Cat Mario, dongs.exe, and Neko Mario) is a 2D Japanese freeware video game notoriously known on the Internet for its extremely difficult levels. Ported to PSP by DanielBR. Deniska's Tyrian port for the PSP based on OpenTyrian. Tyrian is an arcade-style vertical scrolling shooter. The player controls a space ship fitted with different weapons and enhanced energy shields. Money is earned by destroying enemies and grabbing bonuses, which is then used to purchase upgrades such as weapons, shields, energy generators, and different ships from interlevel menus. The game is fast paced and presents a variety of enemies and bosses. Scorpus' homebrew version of Thing-Thing for the PlayStation Portable. Thing-Thing is an original game developed by Weasel of Diseased Productions. It's action-packed and full of violence. Currently v0.9.2 is somewhat limited; campaign mode has yet to be finished and bugs are likely to exist. PSParticlePlayer is an MP3 player featuring some nice grafics, think of it as a Screensaver or Eye-Catcher playing some music for you. SNES9x is a SNES emulator developed for the PC; the Unofficial SNES9x for PSP is an unofficial port of the emulator for PSP. Of the available SNES emulators, this one has the least amount of frameskip when running games at full speed. It is the most frequently updated and has the most available options. Pictogrid is a sliding-tile puzzle game. The goal of Pictogrid is to match the playing grid with the image above. There is a total of 20 levels in the game. Minesweeper is a single-player video game. The object of the game is to clear an abstract minefield without detonating a mine. PSPInstaller 6 is the successor of PSPInstaller v5 PSPInstaller runs on both OFW and CFW and allows the users to easily install homebrew, themes and plugins. The Process is simply, browse the file database, select the file, and choose to download and install it straight away, When the process is complete you can exit to the XMB to play the new downloaded game/application, or install the new CXMB theme. ZX-81's PSPWrite. A text editor with IR keyboard support. This package is intended for Official firmwares. This game has a really simple Objetive, It's all about a tiny ball falling off until it get stopped uppon some ascending bars, but... it is not as easy as it look's like, since some of the bars have spikes on them that will make your ball explode and loose life points, also, the roof itself is falling down and is covered with spikes, and if it touch the ball it will also make you loose life's. SquareForce is a 2D space shooter which takes place in nearly future. Some scientists have created a new technology : the SquareTile, which has been then 'borrowed' by the army to create a new terrible weapon : the SquareMaster. One day they loose control of this weapon which starts suddenly to eradicate all traces of living organism. The only survivors are those who exile themselves in space. 3 centuries later humans are spread in all the universe and live in fear to see one day the troops of the SquareMaster come to finish their job. In SquareForce you will be a human who just passed the SquareShip's pilote exam to enter the SquareForce which is a company of mercenaries which tries to prepare to the inevitable incoming war. A SquareShip is a spaceship constituted of SquareTiles. The biggest property of these SquareTiles is that you can built a SquareShip of any form from them. Each SquareTile in the game have a special type (hull, engine, gun, missile launcher or mine launcher) and special properties. You will be able to travel in a huge universe composed of tones of sectors with bases, cruisers and ships which will be police patroles, pirates or more freackly troops of the SquareMaster. You will have the possibility to land on any bases to customise your squareship, buy/sell objects and equipment and take new missions. A really fun homebrew game with many addictive mini games. J.F./Chilly Willy's PSP port of Basilisk II — the 68k Macintosh emulator. Emulate the Mac Classic or Mac II series machine running MacOS 0.x thru 8.1. Kinow's PsPixel is like paint for the PSP. Draw your own pictures (pixel art) and save them to memory. This app simulates the application "Paint" on Miscrosoft OS. This is a fun and very cool app that lets you wreak havoc on or "destroy" your psp's xmb by "shooting", "hammering" it etc.. This is a sideways space shooter. You are one of the last humans on earth and you must protect the last of your people from peril. The goal is to last as long as you can. PSPsych is for those times when you need to do a coin toss or dice roll but don't have any nearby. So far, the app only comes with the coin toss and dice roll options but the developer plans to add a magic 8 ball and rigged coin modes in future releases. Also on deck is a toss/roll history feature that keeps track of your coin tosses and dice rolls. LameCraft - a game inspired by Minecraft, where you can destroy or build block world's. Each time a world is randomly generated, By PSP developer Drakon. The game is based on the idea that it become annoying and hard with every level. This is a very cool arcade game programmed in Lua, with amazing graphics, this is by far one of the greatest homebrew game. Homebrew coder Takka is back to release a new update of ISO Tool, a very handy homebrew app that allows you decrypt EBOOT.BIN files, repack ISOs, and/or convert ISOs to CSO format. You can now sign your ISO games and load them on OFW using the new feature. Meastnt and Geecko's gSquare is a fun homebrew, puzzle game for PSP. You're a square navigating your way through a maze of squares with gravity physics and fun gameplay to boot. In this game your goal is simple, you're a tiny thunder fellow trying to pass through some king of dangerous thunderstorm!! So you just have to avoid incoming lightning bolts as fast as possible. Getting touched will make you hotter. jbastos' 3D chess game for the PSP; sportin' specular highlights, stencil reflections, and color blend. Xadrez version 1.0 supports 1 player VS. the CPU, and 2 player (multiplayer) via Ad Hoc. MK2k's Stakker. Stack and destroy bricks to increase your online reputation. Walar's clone of Johnny-K's Ragdoll Cannon for the PSP. snowmydog's Pipe Mania (aka Pipedream) clone for the PSP. Construct a path using the randomly generated pipe pieces; complete the path before water flows and spills. Random Shooter is a PSP port of the game of the same name by parellelRealitys. With a few adjustments and enhancements. The object of the game is to achieve the highest score possible as you battle against an army of UFO's. You only have one life, 1 hit and your dead. Classic retro style action. raveous' BROX. A simple, fun, mildly exciting homebrew game. The objective: own the board by strategically drawing lines and completing full boxes. Capture the most boxes and you win. kenny.bsp's mole whacking experience for the PSP. Whack as many moles as possible while staying alive. Programmed in Lua, SerpientePX is a classic snake game which is based on those that were on cell phones. The graphics and gameplay is very good. Bookr is an application for viewing PDF, TXT, PalmDoc, DJVU, CHM/HTML files. Puzzle Square is a game where wee have to complete and assemble pictures, which are displayed for a short period of time, that will be in square pieces, however wee have a certain amount of time to complete the images, Puzzle Square comes with an Easy, Medium and Hard option, last 2 pictures will be blocked and you will need to complete each level to unlock them, also it will show you the puzzle's that are completed and locked levels in the options menu. You can choose whether you want to activate or deactivate the analog pad and erase stored data, the game has the possibility to continue the game or start a new one, not to mention it has an excellent graphic interface which is very nice. Programmed in Lua, TankePX is a classic game where you have to move a tank around a stage while trying to survive. Good work, keep the updates coming. Hey man i must go to damn school now so i will tell you one working app, patch the btcnf tool v3 by manatails007(Seungju Kim). By the way are you using the PSCRYPTER ? (18/01/2011 09:51 PM)nickxab Wrote: Hey man i must go to damn school now so i will tell you one working app, patch the btcnf tool v3 by manatails007(Seungju Kim). yeah I'm using pscrypter... why does it not work? (18/01/2011 09:15 PM)OMightyBuggy Wrote: Good work, keep the updates coming. (18/01/2011 09:58 PM)eKusoshisut0 Wrote: Awesome stuff man. thanks I will add alot more 2mor...Got to get some sleep. Also, Wagic The Homebrew has been signed, and I tested it on 6.35. D: That tank one looks mighty impresive! How to download Xplora 1.8?